The Spanish player was questioned by reports that say he wants to be transferred and denied having requested it. Continue the mess with Pau Gasol. In the midst of the transfer market, the news leaped out that the San Antonio Spurs were looking for a way out for the Spaniard before the deadline, which they finally did not. After this came rumors that it was the player himself who had requested to be transferred due to the low profile that counts in the rotation of Gregg Popovich in the Texas team. Since, recently jumped the news that own pívot has denied asking to be transferred. The information has been given by Michael C. Wright through his official Twitter account. According to the journalist, the player was questioned by the reports that pointed to his request to be exchanged. "What is the source? What is the validity of that story?" 2 Pau asked the journalists. " I did not request to be transferred", has sentenced the Sant Boi. a affirmations of the center denies the rumors that said there was The player himself had acknowledged that he was not in the best possible position after the Spurs' match against Utah: "I am focused every day to be prepared, to give my best in everything that is under my control, be a professional and a good partner. It's all I can do, the best I can do. But, obviously, this is not the ideal situation ". These statements were added to those he made days later, in which he explained that the decisions of the players are hardly taken into account when making exchanges with other teams." 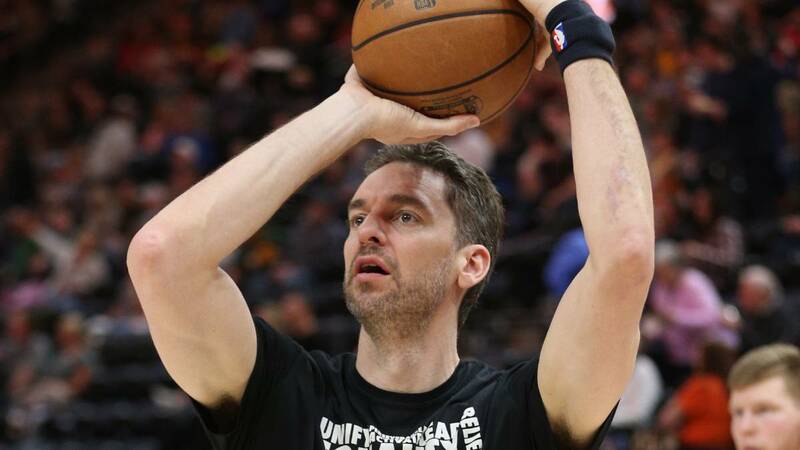 This it is a business, "he affirmed on this occasion, although on both occasions it can be seen Gasol's discomfort with his new situation, in none of them affirms that he was the one who specifically requested the transfer. Periera or not the transfer, the last information pointed to the Texas franchise was working to find a way out to the former Lakers before March 1, the deadline to cut any player and can sign for another team.The Spanish started the season being part of the second unit of Popovich's team, but after his injury his minutes have been reduced considerably and he has a practical participation residual in the set in which he has been the last two seasons.